Donna is a special education teacher at Blessed Sacrament School in the London District Catholic School Board, London, Ontario. 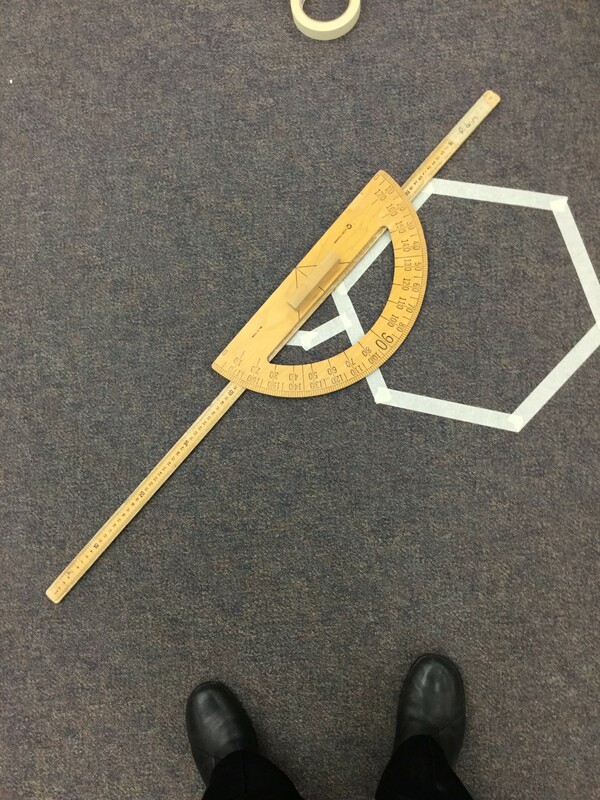 Donna is always looking for ways to push her thinking around new possibilities for learning and teaching. 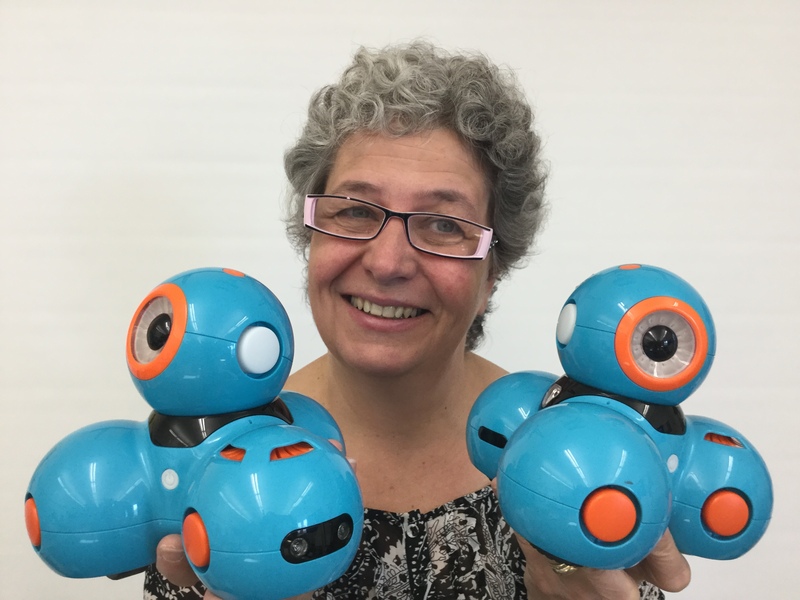 Donna sees coding as an opportunity to develop perseverance, mathematical reasoning, and problem solving skills and also finds it to be the perfect means to enter into co learning situations along side students. 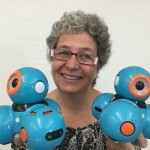 She is the mother of two wonderful boys, one of whom thinks bringing coding fun to elementary students is her greatest accomplishment to date. Her husband is patiently waiting for her to run out of projects and retire with him back to Northern Ontario. 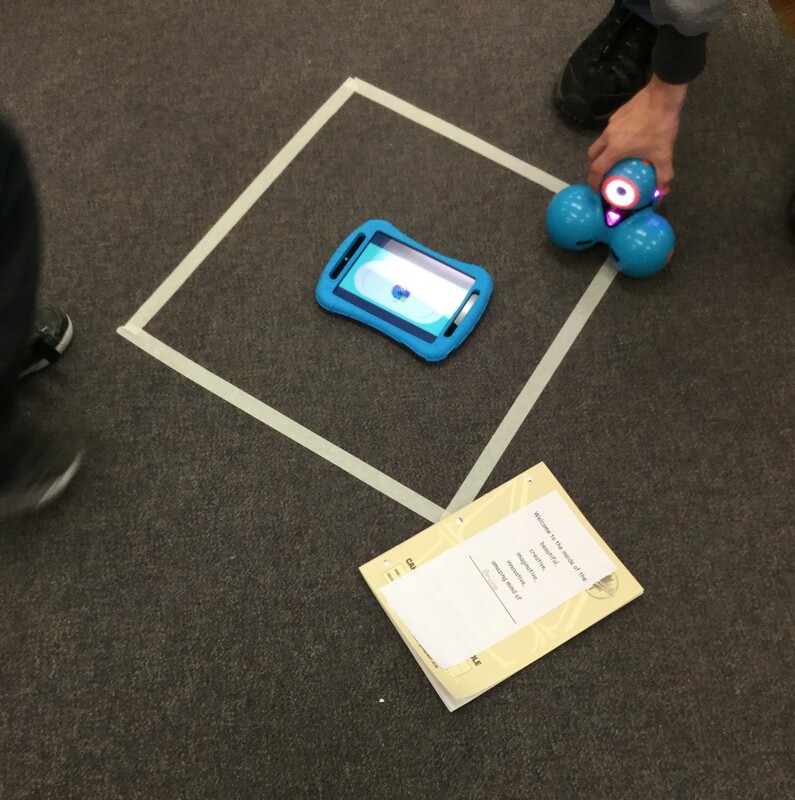 Coding, Computational Thinking and Robotics are the topics of conversation in teaching circles right now. There is no doubt that the teaching of these skills will benefit students, but is there any benefit or even a place in coding and robotics for an older teacher like me? I have always described myself as a life long learner and most recently have become attached to the term co- learner. I question though, can I really be a co-learner if I am continually the provider of the knowledge? 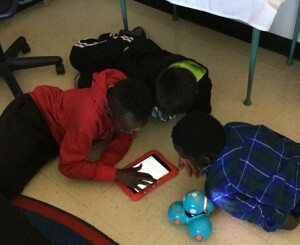 It was not until recently when I undertook the challenge of starting a coding and robotics club at my school, that I truly began to immerse myself in real co-learning situations. It was during these lunch time sessions with Scratch and Dash that I began to think about how the teaching of coding was the perfect setting for intergenerational learning. You see– everyday I was becoming less the person in the room who was responsible for the passing on of information and skills (the teacher) and more often than not I was the person in the room who was taking in the information and skills (the learner). It is truly humbling, at my age, to be taught by students, so let me share a little of my journey. I first learned about complimentary and supplementary angles approximately 35 years ago. 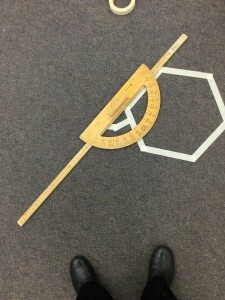 Here I am with a grade four student, a high school coop student, a first year computer science university student, and a small blue plastic teacher named Dash, and NOW angles are relevant. How lucky is this generation to not have to wait so many years for math to have a meaningful application. And this is where I currently find myself. I am determined that the students at my school and I will learn coding together. I am an intergenerational learner, humbly willing to be the oldest learner in the room. 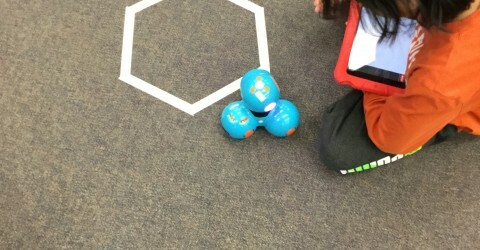 Students in Donna Forster’s lunchtime coding club with “Opti” and “Misty”, two Wonder Dash robots donated by the Optimist Club of North London to Blessed Sacrament Catholic School. Recent Update: Donna’s initiatives have generated so much interest within her school that she is now running after school groups two times per week. She also has had a request for a girls only club and is working on coming up with some ideas to accommodate and support all of this excitement for next year.